9 June. Two unplanned swims today! 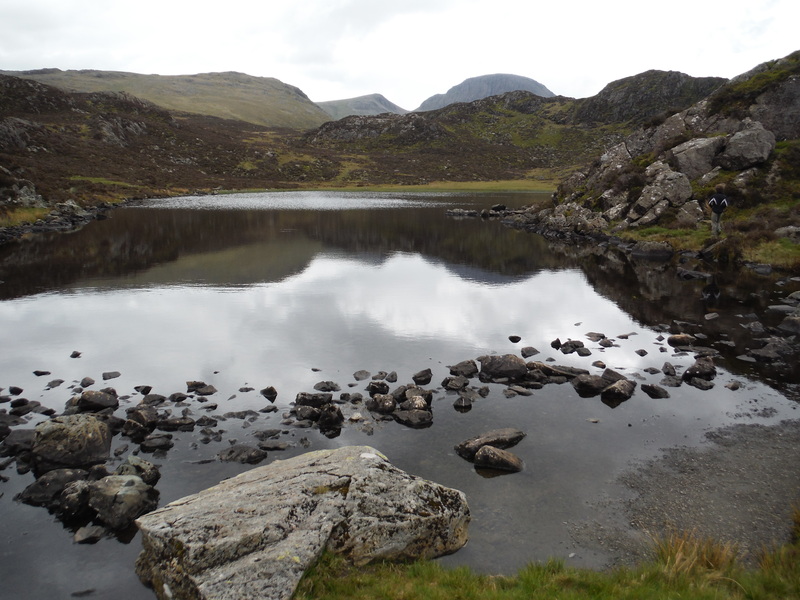 Went for a walk up Haystacks with Amy, Tess and Arthur and realised when I was looking at the map that there are 2 tarns up near the top – Innominate Tarn and Blackbeck Tarn. So I took my swimming stuff with me and had 2 lovely swims. 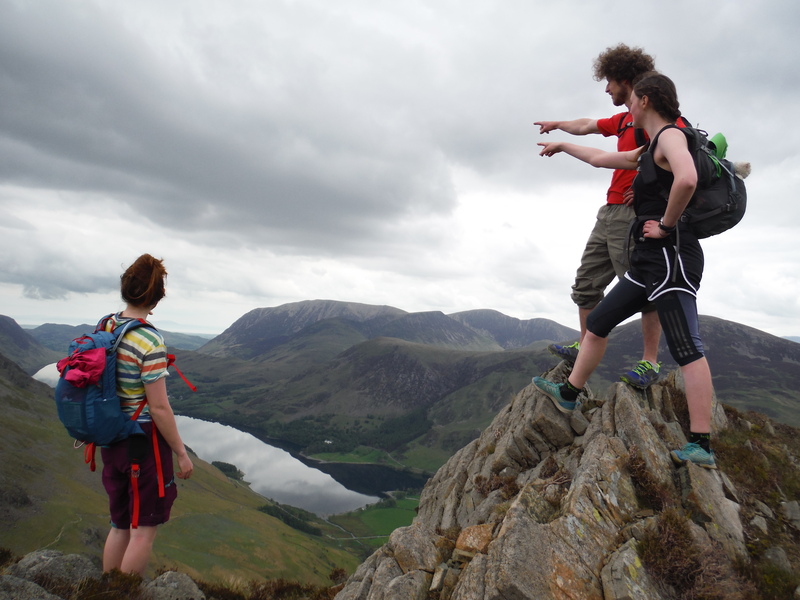 We started at Buttermere village and walked along the side of the lake before starting off up Haystacks which was really nice – a few little scrambley bits and great views back to Buttermere and Crummock Water. 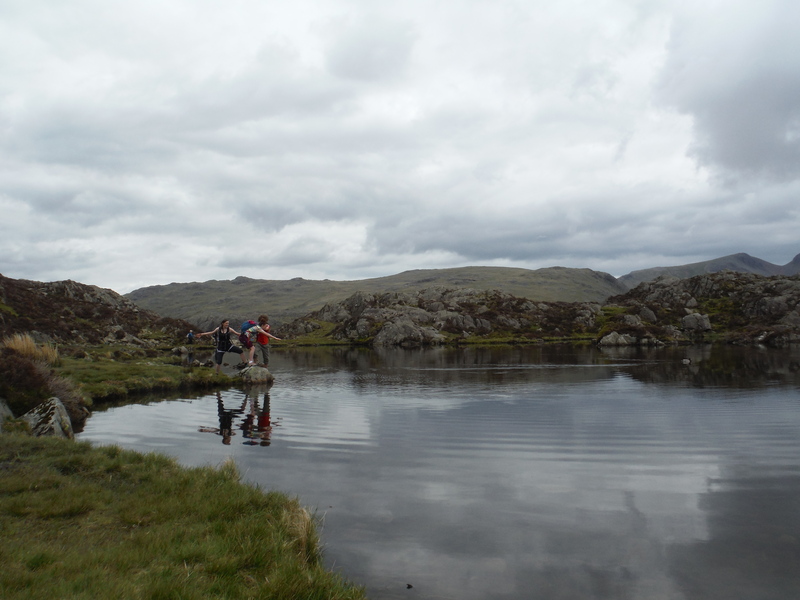 Innomintate Tarn is a little way beyond the summit. Tess carried my towel around, Amy my shoes and Arthur my massive, heavy rucksack – a fair division of labour (or so Amy and Tess tell me). 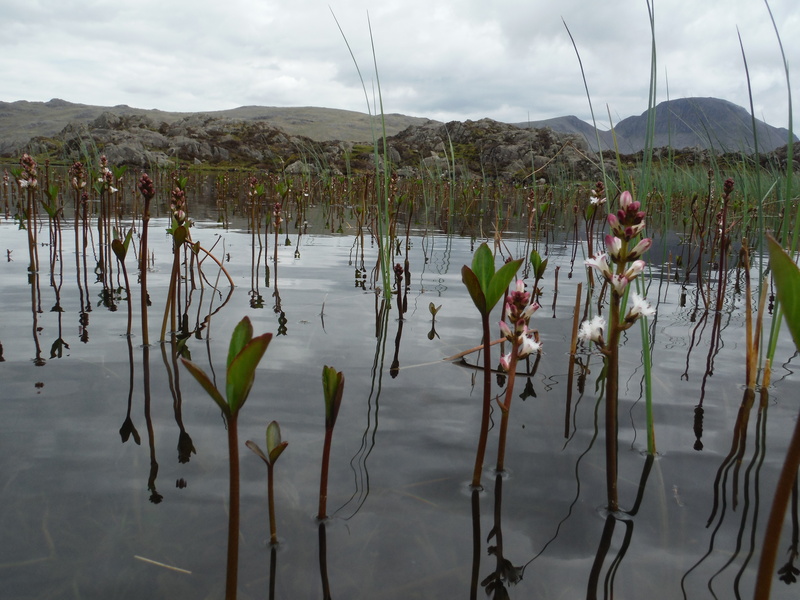 I started among some flowery plants which was very pretty but once again found myself sinking knee-deep in sediment. 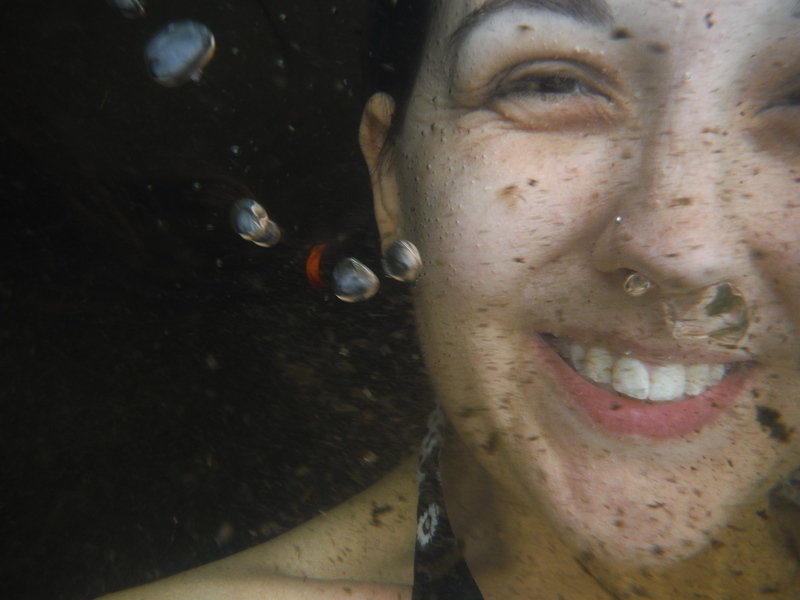 This made it pretty difficult to walk in, but I finally got to a point where I could swim – although I could still feel my knees scraping the top of the sediment layer for most of the way! It was good, but it’s too shallow really for a proper swim. 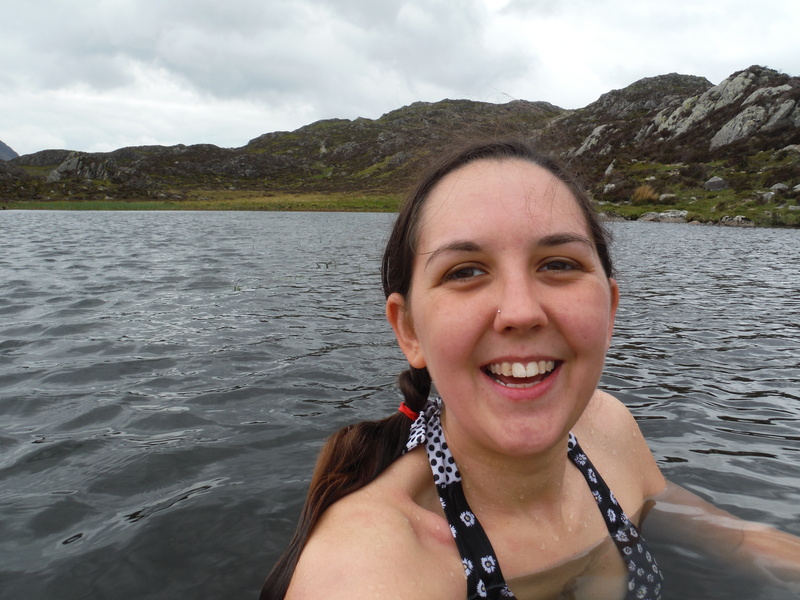 I stayed in my swimming stuff while we walked to Blackbeck Tarn as it’s only a few minutes walk. 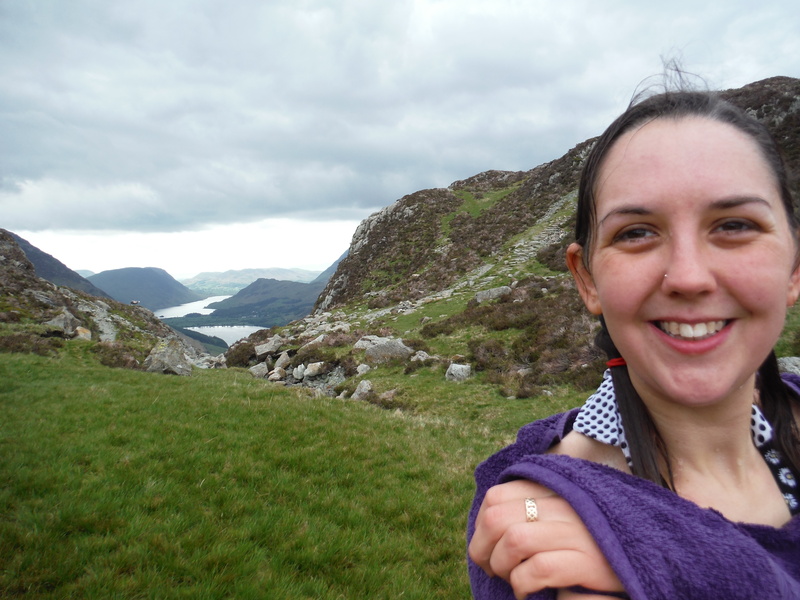 I must’ve looked pretty odd wandering around on the top of Haystacks wearing soaking wet shorts and bikini top and wetshoes with a towel around my shoulders! 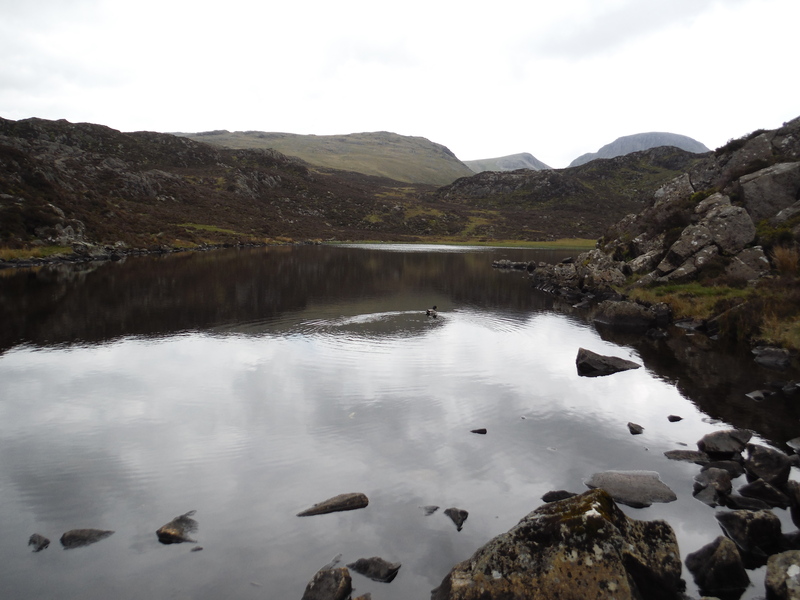 Blackbeck Tarn was a bit bigger so more of a swim. I went to the far end and once again got in among the plants. I knew nothing of deep sediment until now! 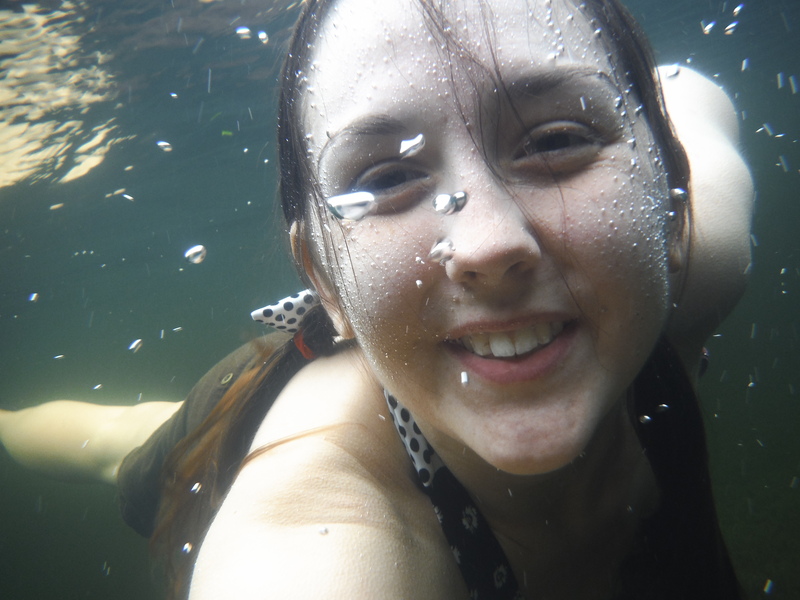 The water was less than a foot deep but the sediment was so deep that I was up to the tops of my thighs. So, so hard to walk and with every step I was bringing up loads of thick, dark mud on my knees! Eventually I just threw myself forwards and sort of crocodile-walked until it was deep enough to swim properly. 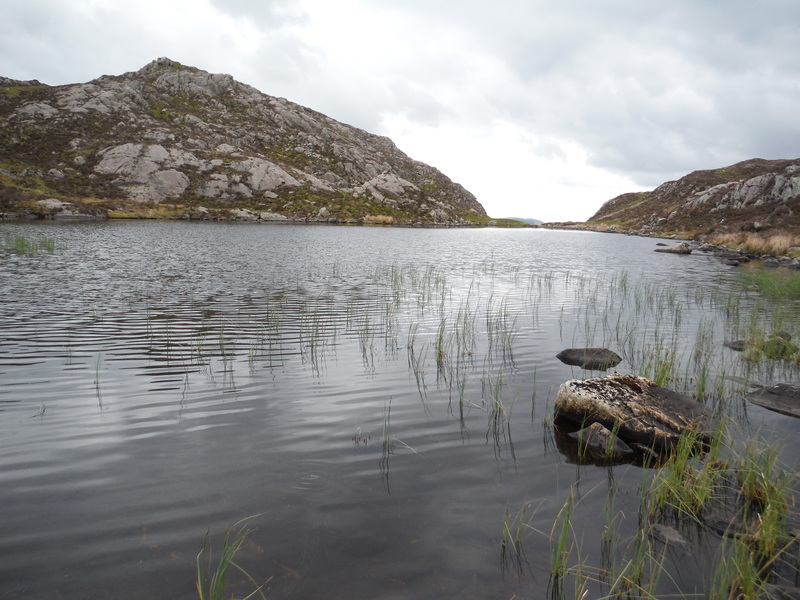 Once I got away from all that and it got a bit deeper though, this was a really lovely swim. It’s rocky at the end closest to the path, so much easier to walk in and out. The water wasn’t too cold and there was enough space to have a proper swim. 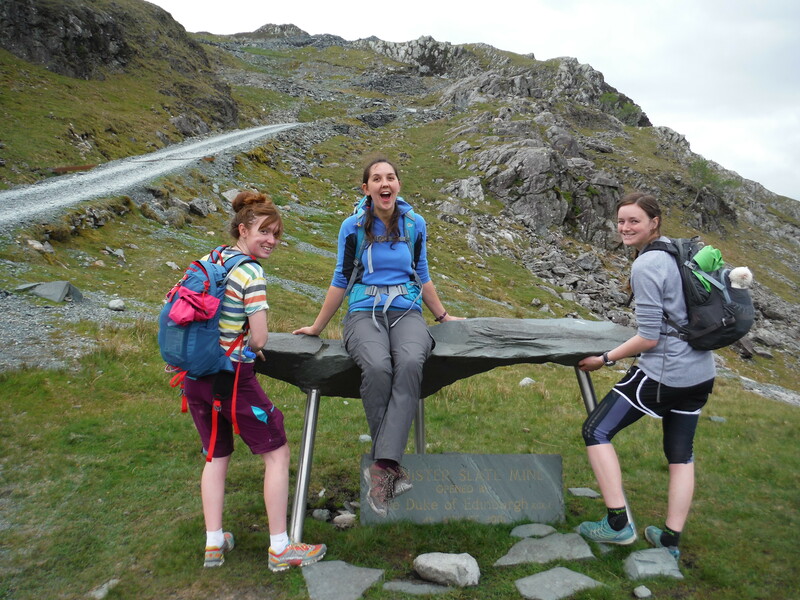 After the swims we headed down to Honister and met Kat and Chris for a catch-up and a cup of tea. We did quite a lot of scavenging in the slate mines and Amy learnt that if you carry loads of pieces of rock in your bag it becomes quite heavy. The sun came out properly as we walked back along the shore of Buttermere and we finished the day with fish and chips in Keswick.